Hi Guys! I would really be interested in a month-by-month calendar view to see all the notes I created. Is this a feature the evernote team is thinking about adding in the future? It would be so helpful in getting an extra visual handle on all the notes I've made and when they were created. I haven't seen any indication from Evernote on a calendar view. Another approach is to the use top list view which shows the note data in columns. This can be sorted by create date. Hi, I'm also very interested in a calendar view in Evernote, especially because It will get the iPhone's App much usability (I hope you'll apologize my "bad english"). I use also the MacBook App and the list view for "reminders" isn't very usefull,even sorted by date. A calendar view will provide a view at a glance of our tasks for a week (or a month etc....). Dear Evernote Team, have you ever think about this idea ? There is no indication that they are planning a calendar view. 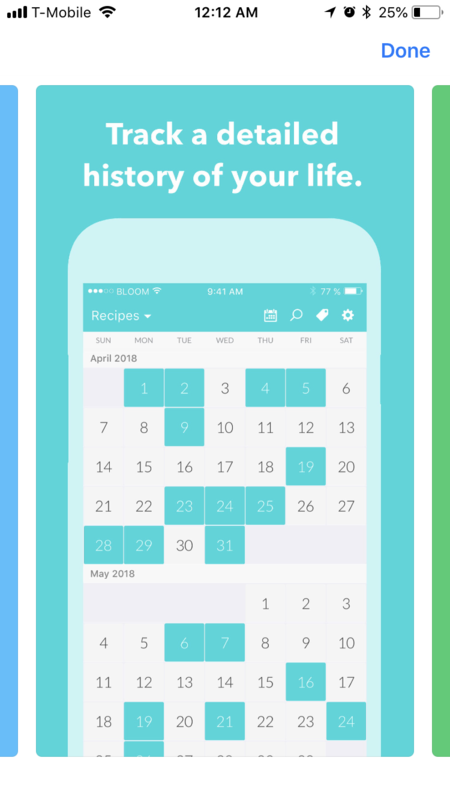 I use Cronfy Calendar Connector to sync my reminders to my calendar. I also don't find the reminder view very useful. My use for reminders improved when I used reminder date as the search criteria for my current task list. Now, tasks are auto added to the list, and auto dropped when completed. I didn't understand your last sentence because I don't find "reminder date" in the search criteria (on the Mac App) : what do you call "auto added / dropped" please ? However, I have been Cronify for a few years but recently, I discovered "Sunrise Calendar" wich is very powerful and very smart, especially for Evernote reminders. It's more efficient for me because in my company, we use an Exchange account for e-mails, calendar and contact. With Sunrise, my evernote account and my work calendar are well syncronized. I agree with the above suggestions, would love to see an Evernote calendar feature. Recently my friend gave me something called a Passion Planner; it's a planner that guides you through your goals with subsections and pages that help you brainstorm for new ideas and extra notes. I think Evernote would be a perfect platform to incorporate this interactive planner sort of idea... a lot of the notes I make on Evernote are related to setting goals within my schedule. When you say "calendar view", is this based on creation date, update date, or reminder date? My first need was the reminder date but ideally, the three options could be interesting. A choice of wich "calendar" to show (as in Google Calendar for example or many others), could afford to see either the tasks to do (reminder date) or the notes (created vs updated), or the three ! I’ve been considering switching to Day One for exactly this feature. A view of what dates had notes created (viewable by notebook) would be fantastic for those of us using Evernote for meeting notes, journaling, and writing projects. Please include this, at least for plus / premium users. As my “single source for everything” I use Evernote both at work and at home, and don’t want to have to switch to another tool. I'm not sure if this could be achieved through Cronofy--I think that would only sync reminders, not creation dates; but if that would help, you could create a Google or other calendar specifically for this purpose and link it to Evernote through Cronofy. Simpler solution might be to change the Note List view in Evernote itself. At the top of the Note List, to the left of the search bar, click the little down-pointing arrow. Switch to Side List, and sort by Created, and there's a list, albeit not in a tidy calendar format. Might be worth a look anyway. I actually have a single daily calendar link to my daily journal note. Not sure why I need your proposed link to a note list. This is what I've used for OneNote that does what was asked. This is a very cool view because I don't always know what date I'm looking for, but for example I might remember I took notes a couple weeks ago on a wednesday... something like that. It lists the creation date and update date if it is different for each note. So you may see the note multiple times if you created it and updated it on different days. This is a very cool view because I don't always know what date I'm looking for, but for example I might remember I took notes a couple weeks ago on a wednesday... something like that. I find the grid view gets messy with many notes. Is there an option to simply list your notes in date sequence?